The term additive manufacturing is defined as the process of making objects from 3D model data by using additive materials; it represents all additive processes, technologies, systems, and applications. The term additive manufacturing is also referred to as 3D printing. The global additive manufacturing market comprises 3D printers, printing materials, and service providers. The overall applications market comprises both rapid prototyping and rapid manufacturing. The major market for additive manufacturing is in the Americas; however, Europe and Asia-Pacific are expected to grow at a high CAGR. The application market for additive manufacturing can be divided into the aerospace industry, the automotive industry, consumer products, healthcare, government and defense, industrial/business machines, education & research, and others (arts, architecture, and forensics). The additive manufacturing application in healthcare is expected to grow at the highest CAGR in the forecast period. The report provides the profile of major companies in the additive manufacturing market. The report also provides the competitive landscape of key players,which indicates their growth strategies in the additive manufacturing market. The report also covers the entire value chain for the market from a raw material supplier to an end user. Along with the value chain, this report also provides an in-depth view on application, technology, and material market. The additive manufacturing market excluding materials is expected to reach $11,145.1 million by 2020,at a CAGR of 20.9% from 2014 to 2020. The additive manufacturing material market is expected to reach $1,082.0 million by 2020, at a CAGR of 19.3% from 2014 to 2020. The report also provides market dynamics such as drivers, restraints, and opportunities. Apart from the market segmentation, there port also includes critical market data and qualitative information for each technology type along with qualitative analyses, such as the Porter’s five force analysis, value chain analysis, and market crackdown analysis. Additive manufacturing can be defined as the process of making objects from 3D model data by using additive materials; it represents all additive processes, technologies, systems, and applications. It can be used to manufacture products of any geometrical shape with a wide choice ofthe material to be used. Hence, it is now viewed as the solution for production with less resources and fast output. Additive manufacturing has several advantages such a slower resource requirement, faster production cycle, flexible design, and substantial savings on tooling over traditional manufacturing technologies such as injection molding, Computer Numerical Control (CNC) machining, and vacuum casting. This is very conducive in the manufacturing of low volume customized products of high value. 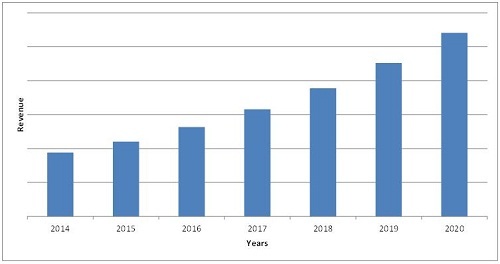 This report describes market trends, drivers, and challenges for the additive manufacturing market and forecasts the market from 2014 to 2020 on the basis of technology, material, application, and geography. The market by geography is segmented into the Americas, Europe, APAC, and RoW (Rest of the World). 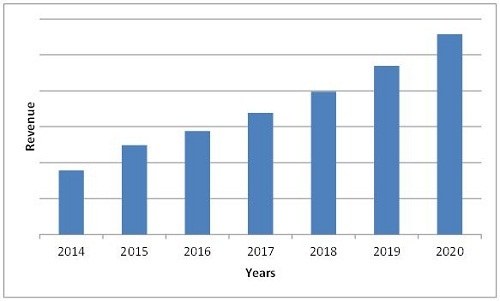 In the additive manufacturing market by technology, stereolitho graphya ccounts for the largest percentage share, followed by the Poly-Jet technology. Consumer products represent the major application market followed by the automotive industry. The Americas accounts for the highest share among all geographic regions; whereas plastics account for the highest share in the materials market. Major players in the market include 3D Systems, Inc. (U.S.), Stratasys Ltd. (U.S.), ExOne (U.S.), Arcam AB (Sweden), EnvisionTEC (Germany), EOS (Germany), Materialise NV (Belgium), and MCor Technologies Ltd. (Ireland). The additive manufacturing market excluding materials is expected to increase at a CAGR of 20.9% from 2014 to 2020. Consumer products are the major application inthis market. The stereolithography technology dominates other technologies with the highest share in the market. The Americas has the highest share in the additive manufacturing material market. The additive material market is expected to grow at a CAGR of 19.3% from 2014 to 2020.